Feb. 14, 2018: Adrian East, the Kraft Avenue boutique well known for children’s clothing and accessories, is now offering women’s clothing and accessories for a limited time. Upscale spring fashions are available for purchase by appointment with a stylist through February 23. This seasonal service is now being offered quarterly. 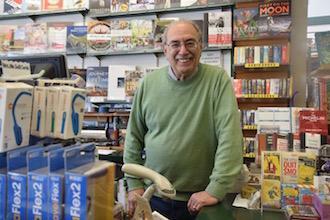 The expansion of the shop’s services began last fall in response to customer demand. A previous collaboration between owner Adrian East and designer Daniel Sanchez planted the seed for this new concept. Sanchez recently assumed the role of creative director for Doncaster, a company with a long history of designing and outfitting women via one-on-one stylist consultations. Beyond retail, the seasonal offerings for women involve stylists working one-on-one with clients to select items, recommend complementary pairings (including the incorporation of items already owned), and advising on alterations. Casual and workplace clothing is available, as well as jewelry, scarves, and outerwear. Different in-house designers are featured, but all are under the direction of Sanchez. Appointments can be scheduled for February 14 through the following week. The summer offerings will follow in the spring. 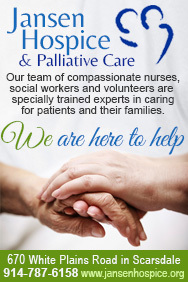 To schedule an appointment, call 914-337-0475. 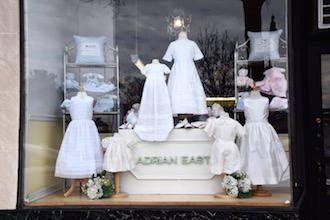 Pictured here: The storefront of Adrian East at 122 Kraft Avenue in Bronxville.